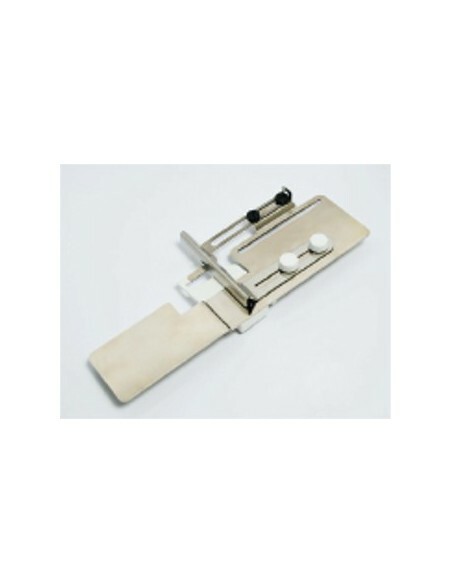 The guide can be used to sew from 1.5 cm to 4.5 cm wide hems. Now your hems will be completely even all the way around. Fit with Janome CoverPro 900CPX, 1000CPX 2000CPX. 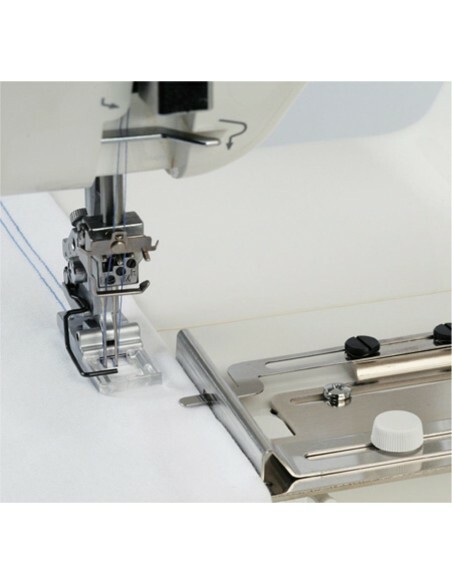 The Hem Guide Type 2 for the CoverPro Series creates professional looking cover stitch hems. Use the Hem Guide to line up fabric edges for decorative stitching. 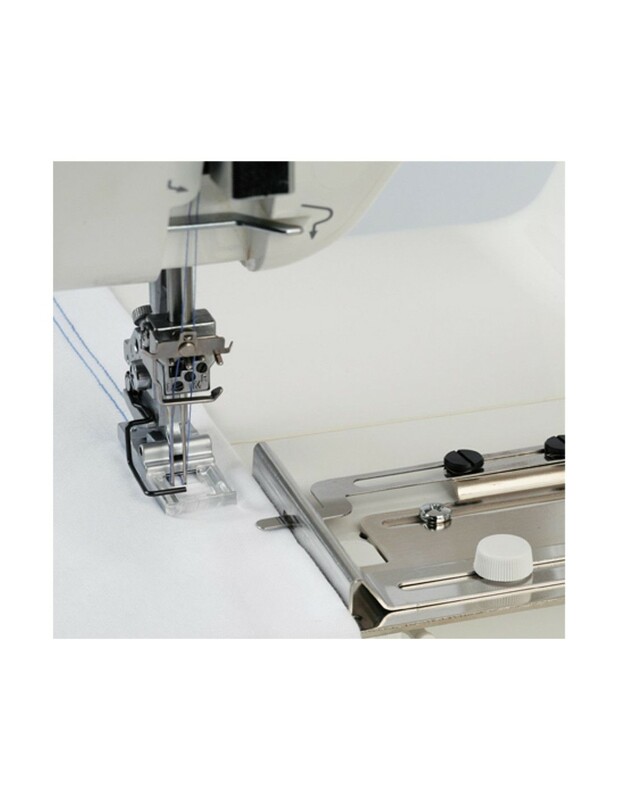 For easier, straighter hems, the guide holds the hem in position while sewing. The quick release feature allows you to release the fabric on tubular garments near the seam's end for easy finishing. The guide allows you to create 1.5 - 4.5 cm hems. 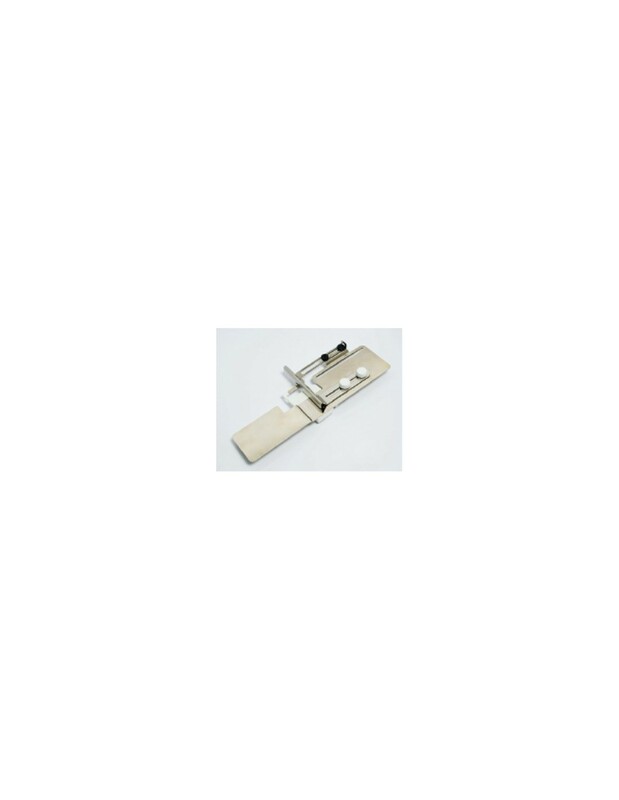 A coverstitch machine is essential for the sewist looking to achieve a professional result. The Necchi C4's innovative design is based on the marriage of an industrial-style cover hem machine and a convenient home machine. The resulting union has produced a high-speed, long arm, heavy-duty cover hem machine that looks and operates like a sewing machine.